I have a confession to make... 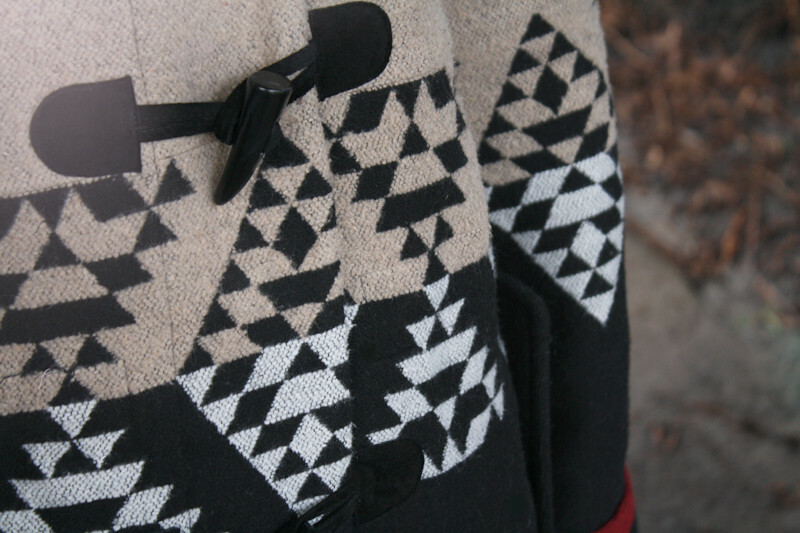 I am kind of addicted to BB Dakota coats. Let me introduce you to Arlet. The Arlet has the same cut has the Koa Durango (worn here), but it is thicker and the fur is slightly fluffier. 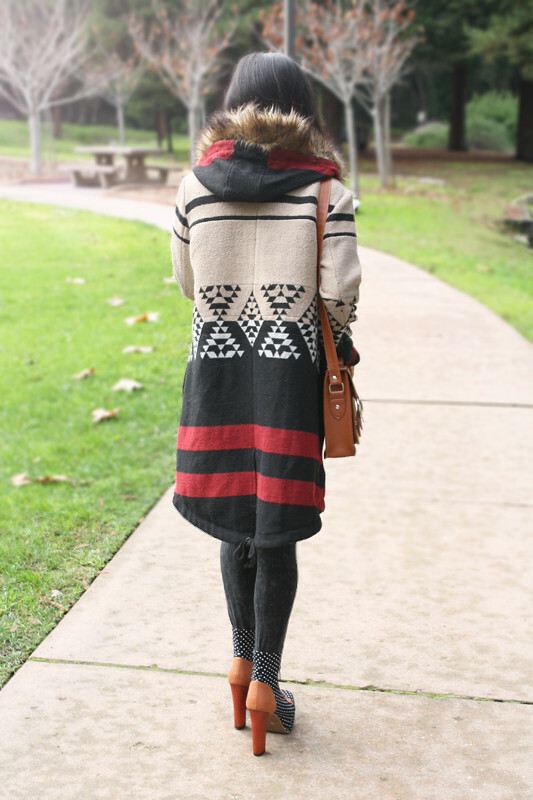 The stripes paired with the modern geometrical tribal pattern is phenomenal and not to mention the tan, black, and red also make the perfect color combination! Oh, and you know me, I love playing with patterns so I finished the look with a pair of two tone booties composed of brown leather and polkadots canvas! Arlet coat c/o BB Dakota. Acid wash leggings by KToo from my work Sway. Leather satchel from Hong Kong. 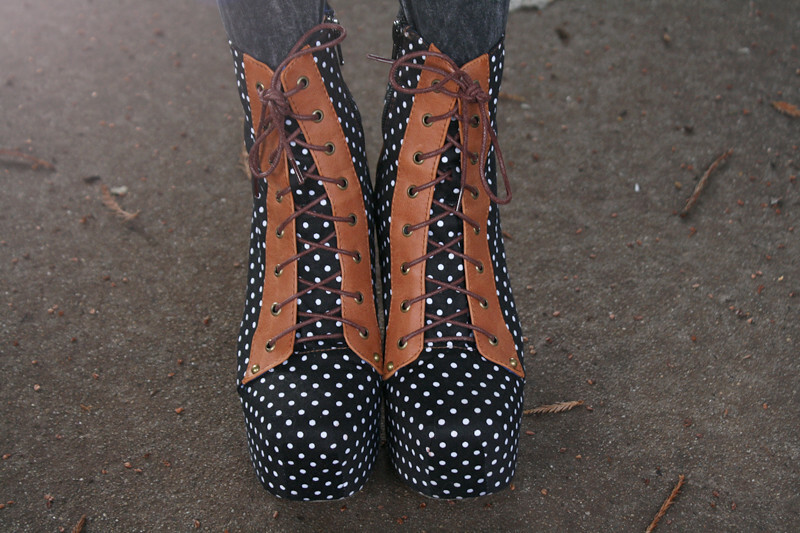 Leather and polkadots canvas booties c/o VJ Style. I am loving the pattern contrasts here! Those shoes are to die for and that jacket is AMAZING. So cute. 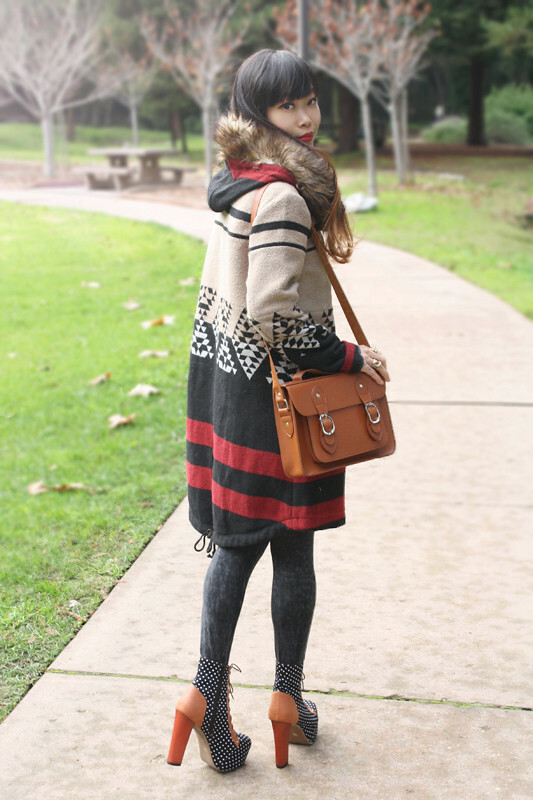 wow, this coat is AMAZING loving that print on it!